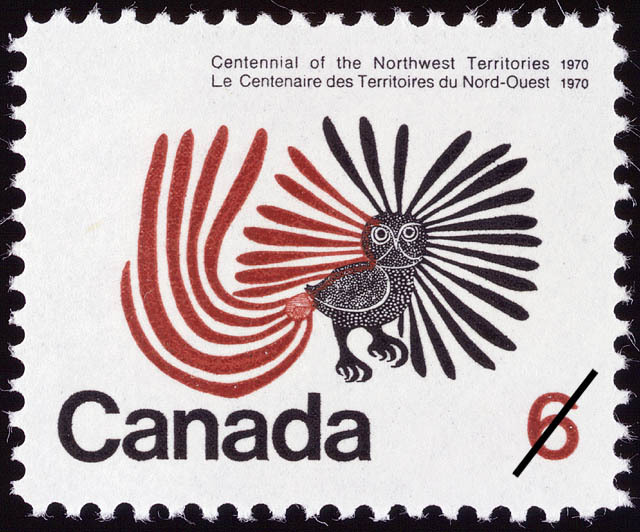 The value of a Centennial of the Nortwest Territories - 6 cents 1970 stamp depends on several factors such as quality and wear, supply and demand, rarity, finish and more. Values in the section are based on the market, trends, auctions and recognized books, publications and catalogs. This section also includes information on errors and varieties and characteristics. By an Act which also created the Province of Manitoba, given assent on May 12, 1870, the Northwest Territories came into being. It was not until 1963 that a full time Commissioner was appointed and charged with building up a territorial administration, located initially in the nation's capital, Ottawa, but to move into the Territories as soon as possible. In 1967, coinciding with Canada's Centennial celebrations, the administrative seat of government for the Territories was moved to Yellowknife, a capital which has since provided increasing evidence of man's success in creating a friendly environment in a frequently severe and sometimes hostile climate. 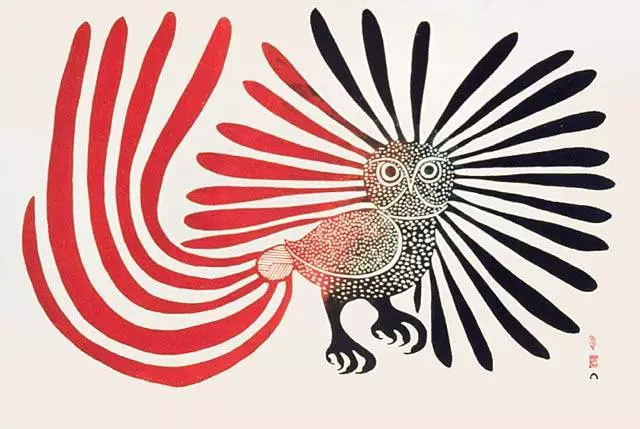 A reproduction of Kenojuak's Enchanted Owl, one of the most prized prints to come from Eskimo artists in the Territories, was chosen for use on this stamp. The mother of four children, Kenojuak, in recognition of "merit, especially service to Canada and humanity at large", was awarded the Medal of Service of the Order of Canada in 1967. Most of her life has been spent at Itigajuak some thirty miles from Cape Dorset, Baffin Island.